Susan Weidel has been active in animal welfare issues for over 20 years. She is the Rescue Coordinator at W.O.L.F. Sanctuary in Colorado where she has volunteered for 10 years. Susan has helped rescue hundreds of wolf dogs over the nearly seven years she has been the Rescue Coordinator. 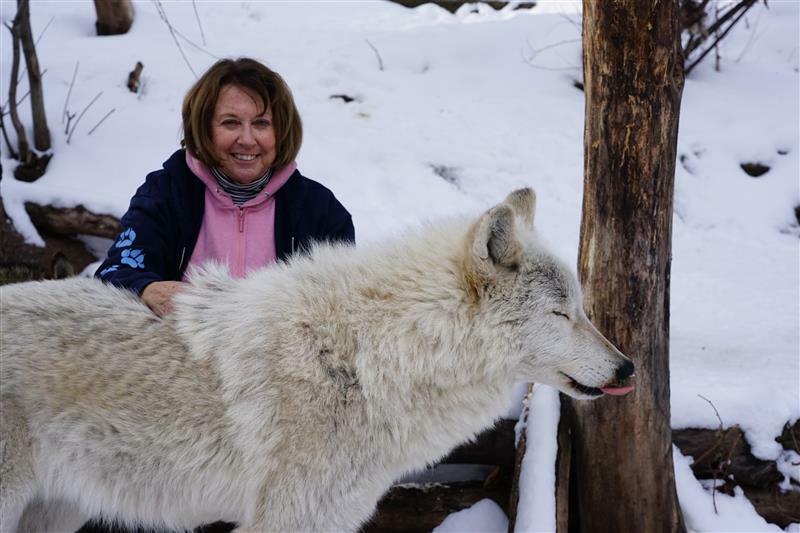 She administers a nationwide electronic rescue network for wolf dogs and has worked with sanctuaries, rescue groups and shelters across the country to bring countless numbers of captive born wolves and wolf dogs to safety. Most recently she worked on the High Desert Wolf rescue with her colleagues from across the country. The rescue group was able to save 181 adult animals and pups. Susan is a writer for the Sanctuary’s quarterly Magazine W.O.L.F. and has authored stories on the plight of animals in fur-farms, the 20th Anniversary of the wolf re-introduction in Yellowstone and Idaho, and a review of Nate Blakeslee’s book American Wolf. Susan has been featured on NPR’s HumaNature series talking about her experiences with captive born wolves during the High Park Fire, one of the worst wildfire’s in Colorado’s history. As well as her work with captive born wolves and wolf dogs, Susan has been active in pit bull rescue. In 2011 she adopted Little Red, one of the dogs rescued from former NFL Quarterback Michael Vick’s notorious dog fighting operation. Susan and Little Red were featured in the 2015 award winning documentary The Champions. Susan is an attorney who lives in rural Wyoming with her pack of four dogs.